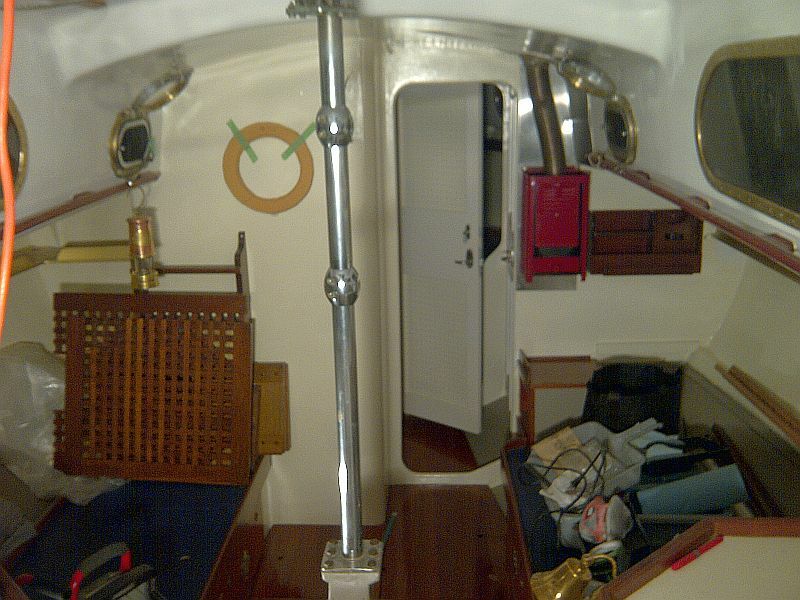 This post briefly describes the restoration of a 33 ft. classic Philip Rhodes sloop. 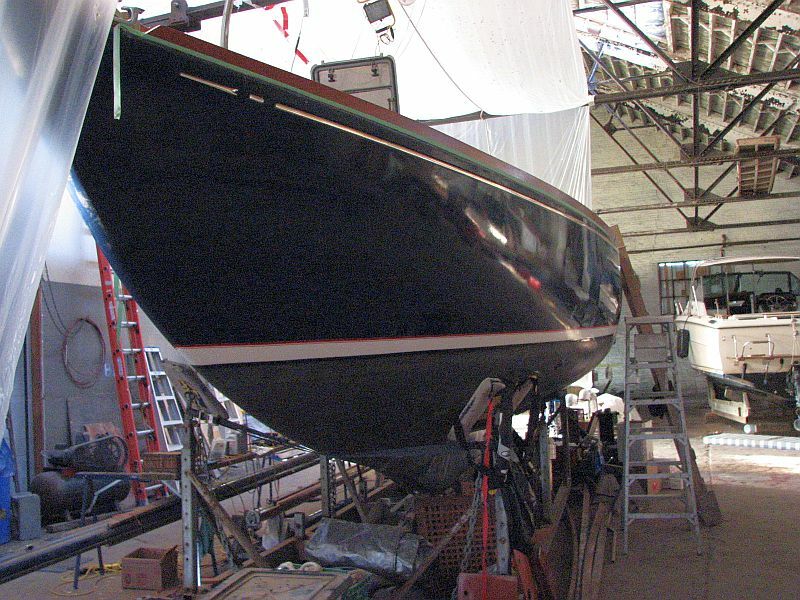 A Philip Rhodes sloop will soon “rise again”! 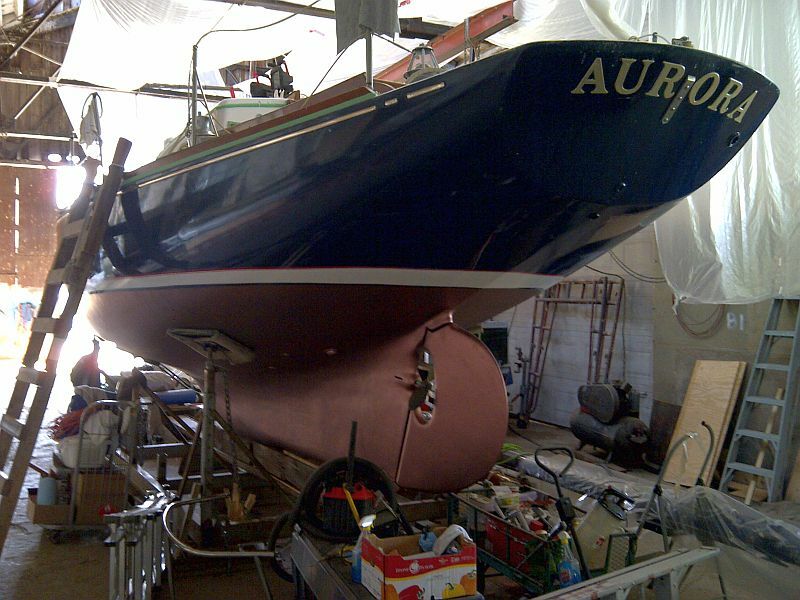 Congratulations to Doug McDonald, who is nearing the cosmetic restoration of his thirty-three foot, 1961 sloop Aurora. Purchased about five years ago, in partially restored condition, this Philip Rhodes “Swiftsure” model is one of 150 built in the Devries Lentch shipyard in Holland. (More photos and information below). The boat was shipped by freighter over to the USA some years ago and eventually made its way to Canada. 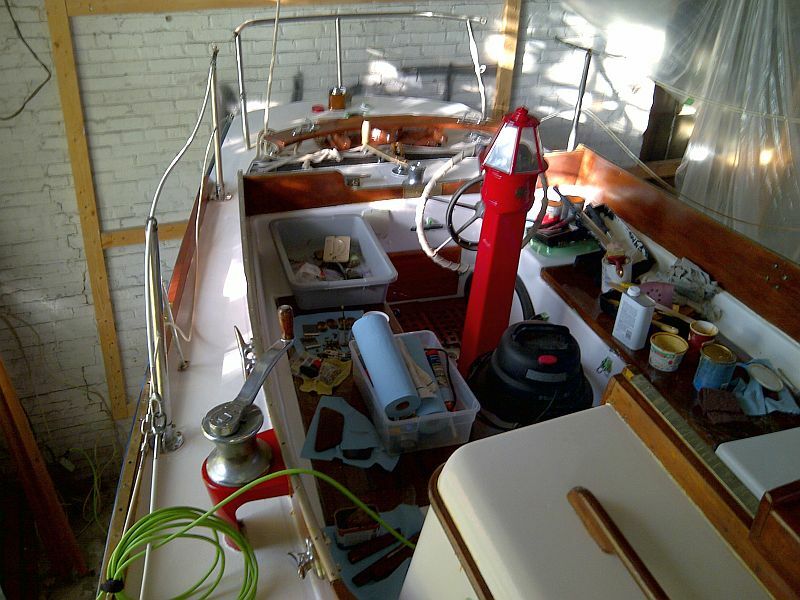 The sloop is currently “on the hard” in Penetang Ontario. The boat hasn’t been in the water for ten years. 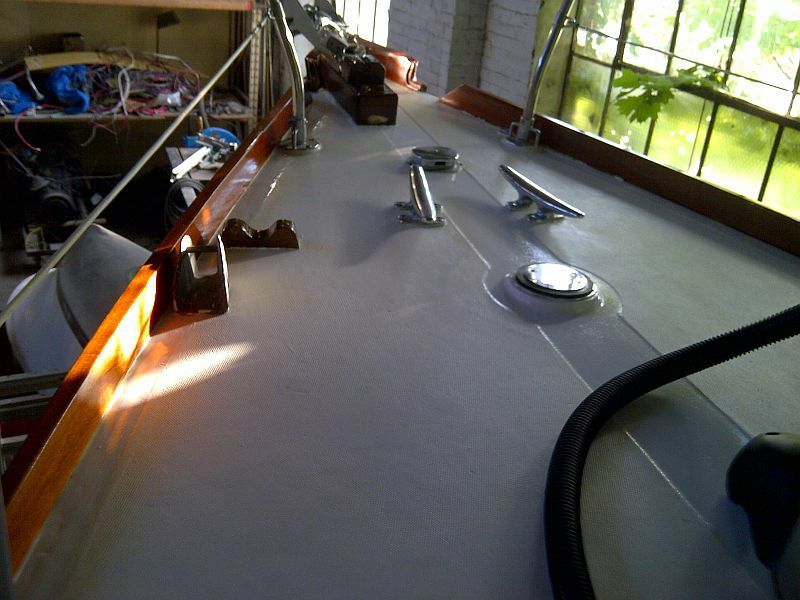 Luckily, the hull is is excellent condition, so no major structural repairs have been required. Some minor electrical work remains. 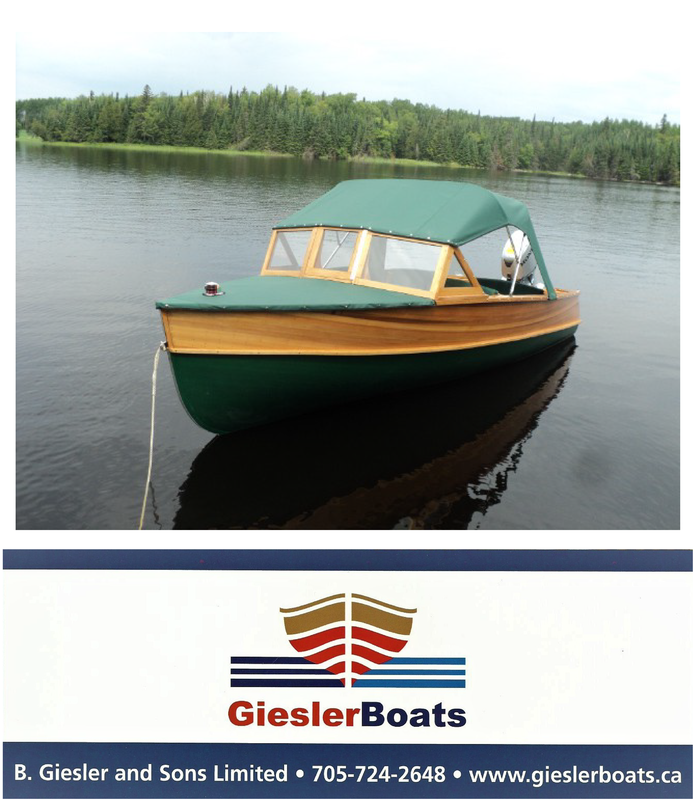 Doug has applied Imron navy blue paint to the hull and used Cetol to refresh the woodwork. He prefers Cetol (about ten coats) to varnish as he has observed that varnish can peel when exposed to continual sunlight. The deck of Aurora has also been repainted. Doug has been working on boats on Georgian Bay off and on since the age of four. He is no stranger to the water and the workings of watercraft. 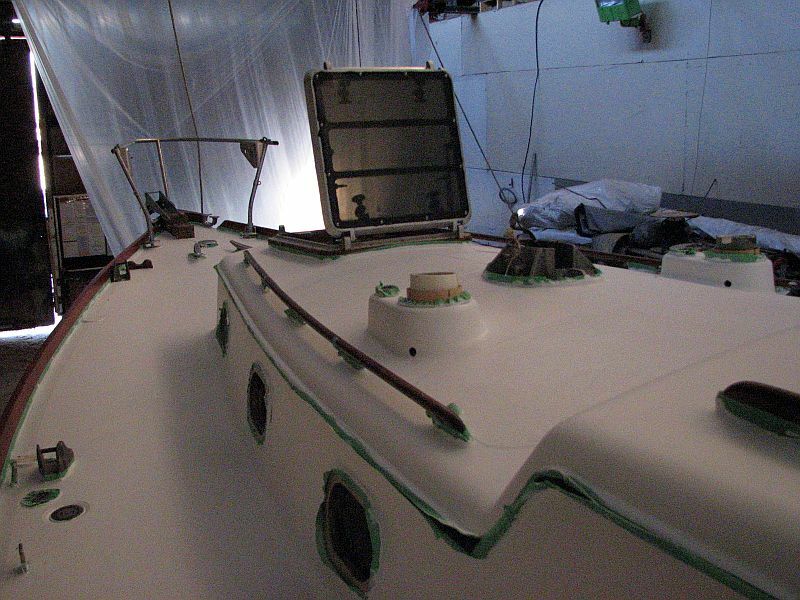 As Aurora is about 95% completed, Doug hopes to have her plying the whitecaps in Georgian Bay this summer. We wish him a dry launch and smooth sailing for years to come!